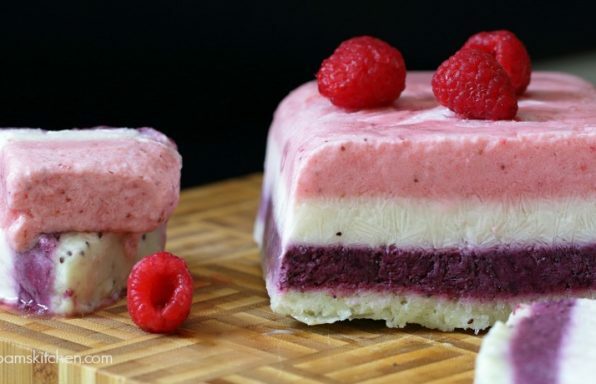 Delicious sweet strawberries, blueberries, and kiwi whipped with dairy free yogurt and frozen in rainbow layers. 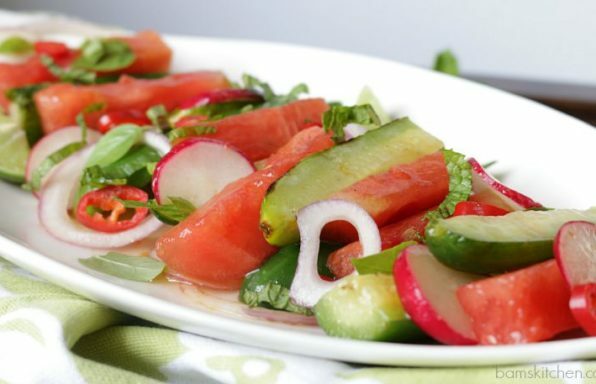 Seared Watermelon and cucumbers on the grill drizzled with a simple Thai dressing and tossed with fresh radishes, mint and Thai Basil leaves. 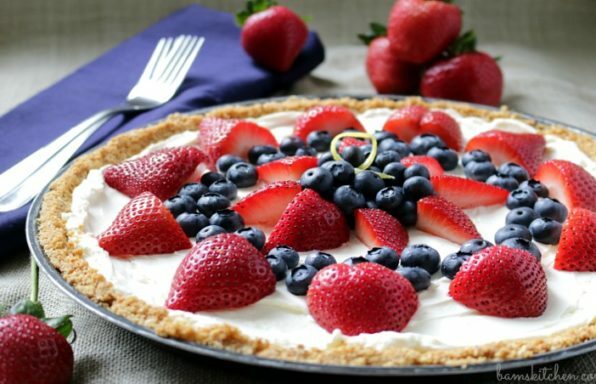 Creamy, dreamy lemony cheese cake no bake filling on top of a gluten free nutty almond crust and topped with healthy berries. 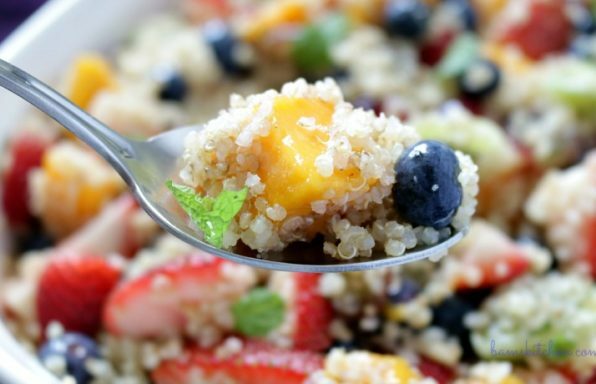 Light and lovely seasonal fruit such as strawberries, mangos and grapes tossed with quinoa, mint and a refreshing citrus dressing. 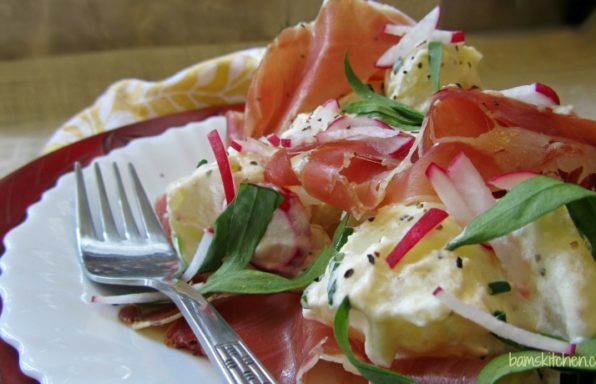 Rich and creamy potato salad with fresh tarragon, chives, crunchy radish with a kick of horseradish sauce, woven with ultra thin slices proscuitto ham is sure to please at any picnic this summer. 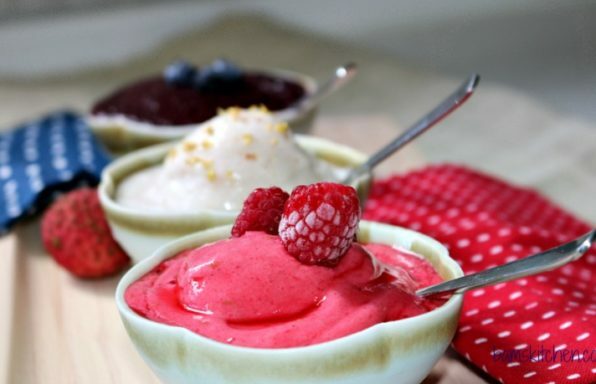 Delicately sweet and floral lychee with coconut milk and guihua sorbet, creamy and dreamy raspberry sorbet and antioxidant rich blueberry sorbet are 3 delicious ways to enjoy your sweet tooth without compromising on your diet. 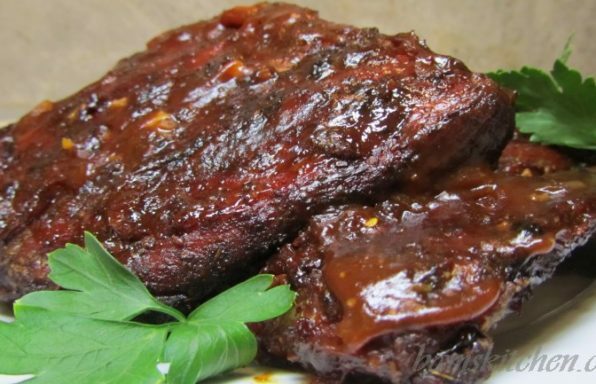 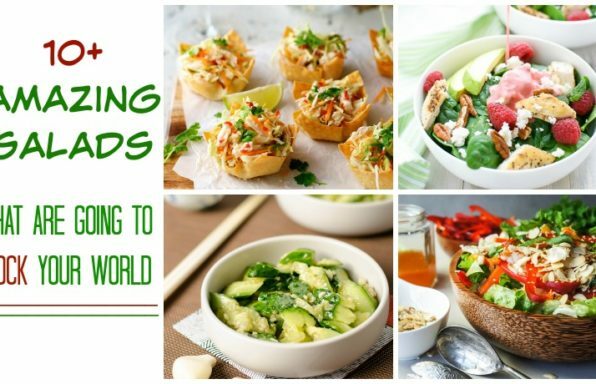 Each recipe makes one nice serving for one adult or 2 mini servings.